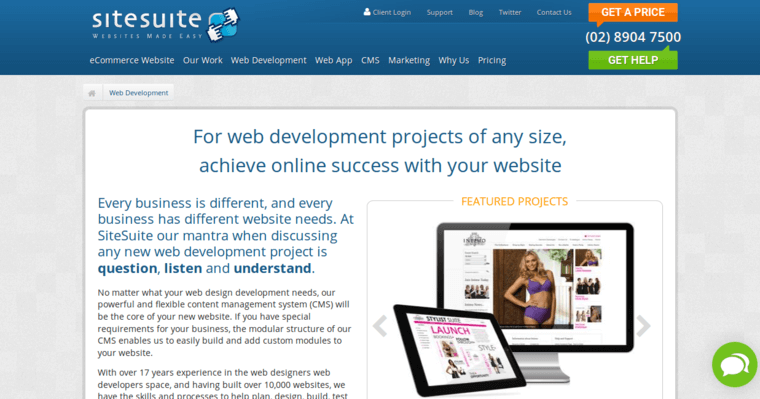 SiteSuite Website Design is a marketing firm that specializes in the field of web designing. 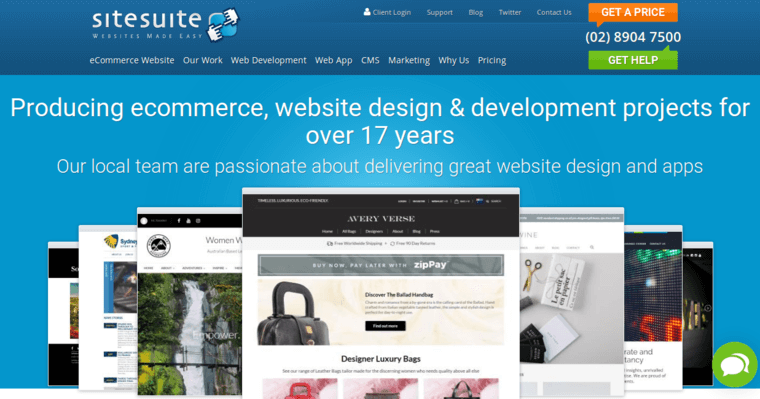 SiteSuite is based out of North Sydney, Australia and works on their goals of helping clients streamline their own businesses and increase their awareness and productivity so they'll become a true success. The key to helping out others is to listen to their ideas, their desires and come up with plans to make them into a reality. The firm has been in business for more than 17 years and provides all kinds of services, from name branding and design to web development to e-commerce help to marketing online. Being a web design firm, this particular aspect is important because having a website acts as a base of operations for the business and lets customers learn all about it. 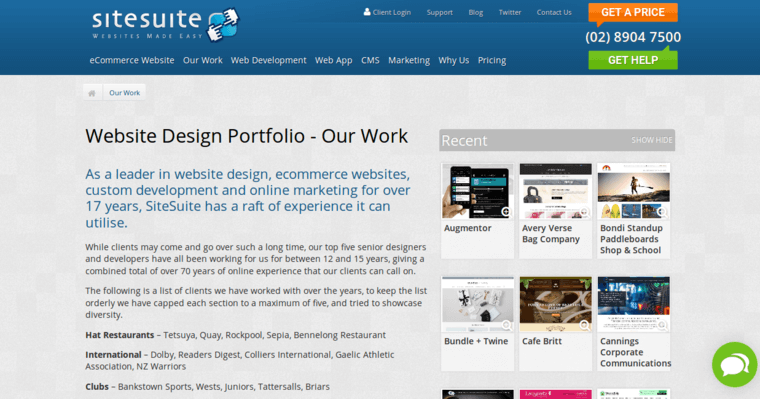 SiteSuite is a trusted firm used by companies like Yahoo!, Domainz, Sensis, WebCentral and Melbourne IT.